The Schnepf Farm is a place you can take the whole family! Get outside for some things you just don't see every day in Arizona. Not long ago it took a long time to drive all the way out to this attraction. You had to drive a long ways on a two lane highway and the farm was in the middle of nowhere. Now with the new freeways it’s close, maybe about a 15 minute drive from the eastern edge of Mesa depending on traffic and construction. If you are coming from the southeast valley like Mesa, go south on Ellsworth until you get to the underpass to the train tracks. Then turn left on S Rittenhouse Rd and in about five minutes you will see the farm right off the road after some housing developments. See the map below if you need it. By the way, if you made it all the way here you might as well go across the street if you like olives. They have tours and food. 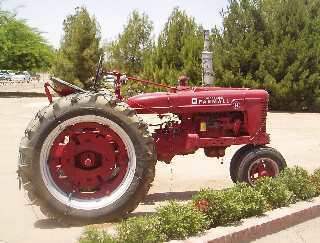 Take a detour and check out the Queen Creek Olive Mill. Now the highlight of spring activities is the peach and apricot season. 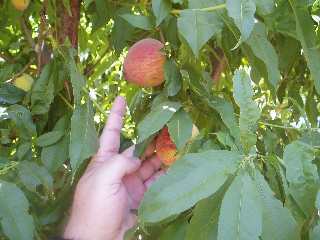 The Schnepf Peach Festival is where you can pick your own fruit in the luscious groves! Yes, you are still in Arizona! The peach season generally runs until the fruit is gone around the end of May or early June. The farm is open on weekends except in the hot summer months of July, August and September. 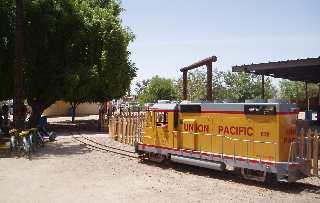 They have some cool things to do including a train ride through the orchards. The train is big enough for even big kids to ride! 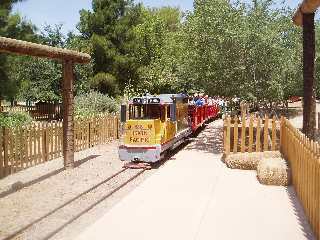 Ride a train at the Schnepf Farm! Halloween is a big thing here. They call it the Pumpkin and Chili Party. We love wandering through the corn maze with flashlights at night. Then there’s the train ride through the orchards where ghosts and goblins can jump out of the shadows. And of course there is the pumpkin patch. What FUN events are there and when do they happen? 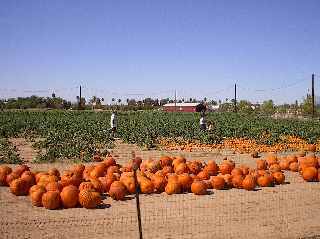 The farm is located in Queen Creek (SE Valley) on 24810 S. Rittenhouse Road. Phone is (480) 987-3100.